You can only buy maximum 3 packs. 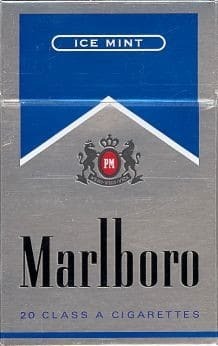 Marlboro Ice Mint – 20 menthol cigarettes. Marlboro, a wellknown & finest quality’s brand, had launch a new product contain high cooling with Super Fresh mint favour. The Marlboro Ice Mint- Served Freshly Frozen, tell all that need to know! This Marlboro Ice Mint is a new kind of Ice Mint Cigarette that gives you a high cooling feeling. Made under the authority of Philip Morris Brnds, Switzerland. I received my first order! Thank you so much, already placed my second. These cigs taste good they have a fresh flavour and u can really taste the menthol. I like something a bit stronger which is why i tend to get marlboro ice blast which is an intense menthol experience.